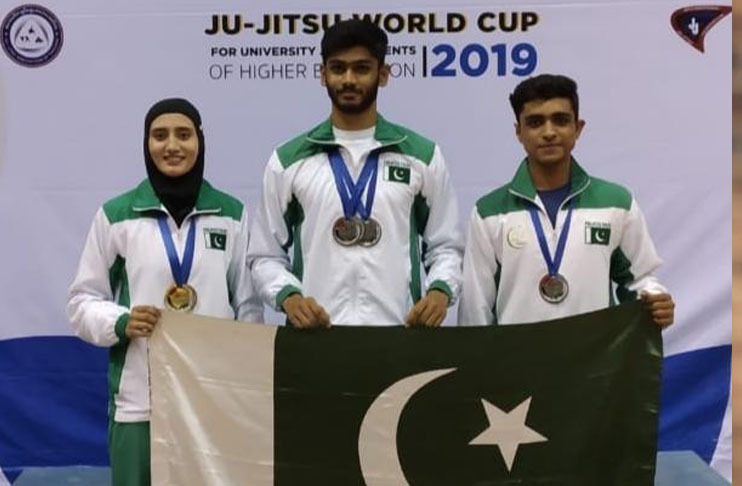 Young Fatima Irfan bagged the gold medal in Newaza -57Kg category of the Ju-Jitsu World Cup 2019 for University and Students of Higher Education. Dilawar Khan Sannan and Muhammad Ali Rasheed collected silver in the Duo Classic Men category, whereas, Dilawar Khan Sannan and Fatima Irfan claimed second silver for Pakistan in Duo Classic Mix category. 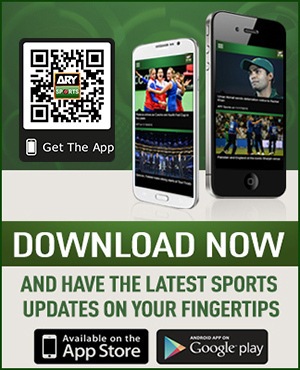 Dilawar Khan performed strongly in Newaza 77kg Men category to mark third silver in the name of Pakistan. Pakistani ju-jitsu players hoisted the green flag in their first appearance in the Ju-Jitsu World Cup 2019 for University and Students of Higher Education. Athletes from only Colleges and Universities from around the world participated in the event which was organized by the Ju-Jitsu International Federation (JJIF) in a bid promote the sport. All three champions of Pakistan thanked the god for this achievement and wished to achieve many more for their country in the future. The president of Pakistan Ju-Jitsu Federation (PJJF) Khalil Ahmed Khan praised the athletes for the feat at an international level. “I would like to congratulate these kids who have proved themselves,” he said. The Associate Secretary of PJJF Mr. Tariq Ali, who coached the kids for the tournament, said that this achievement has been marked without any support from the government.